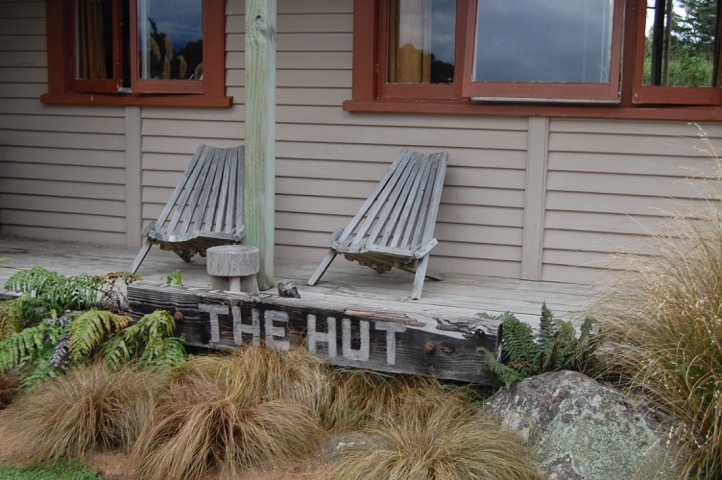 Our smaller accommodation unit is The Hut. 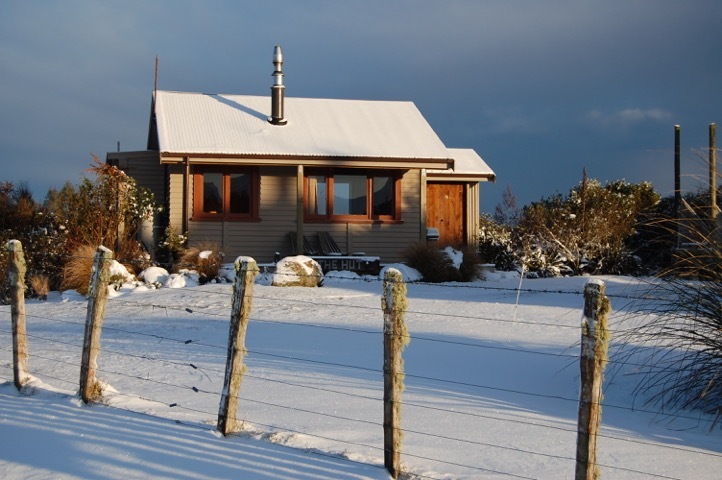 It has stunning views of all three volcanoes (Tongariro, Ngauruhoe and Ruapehu) and, like The Barn, is set in a peaceful, rural environment but is still just minutes from the cafés, bars and ski-hire of National Park village. 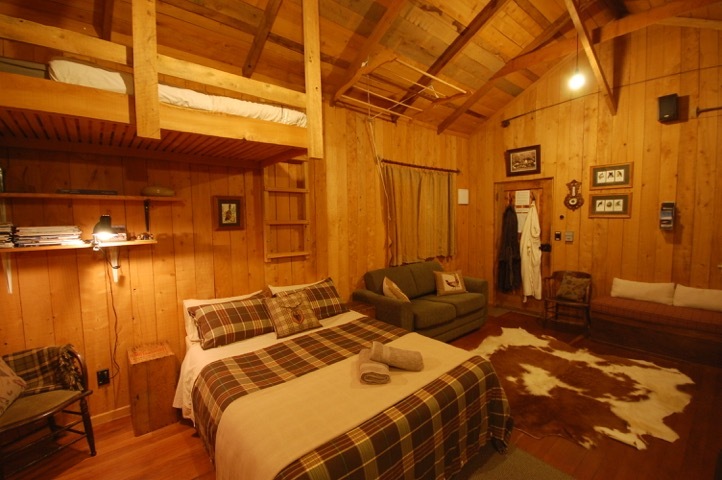 The Hut is styled like a back country shepherds’ hut, with one main room and an attached bathroom. 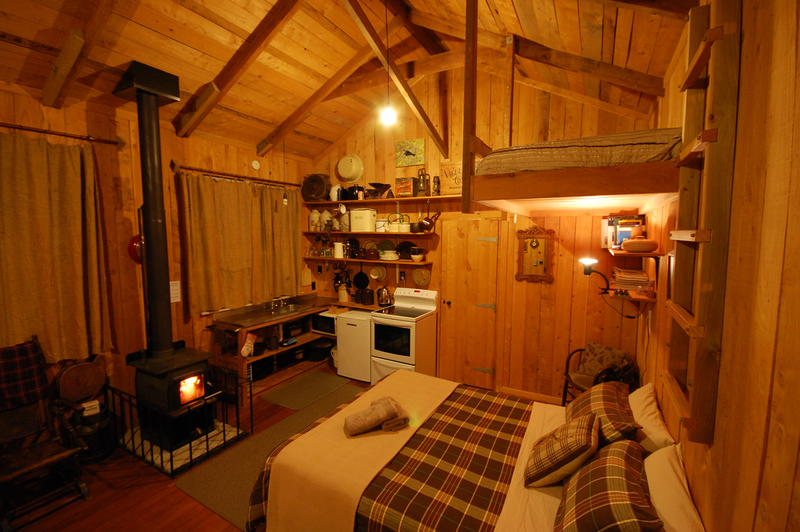 It sleeps two in comfort, with a maximum of four. 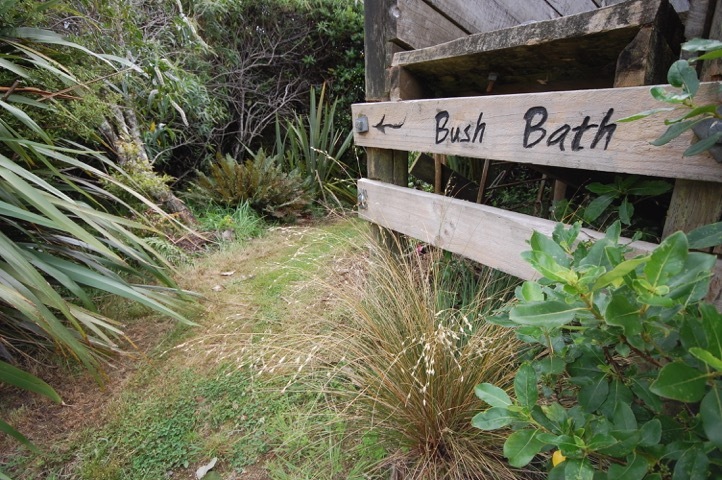 On arrival, your beds will already be made, with linen and towels supplied. 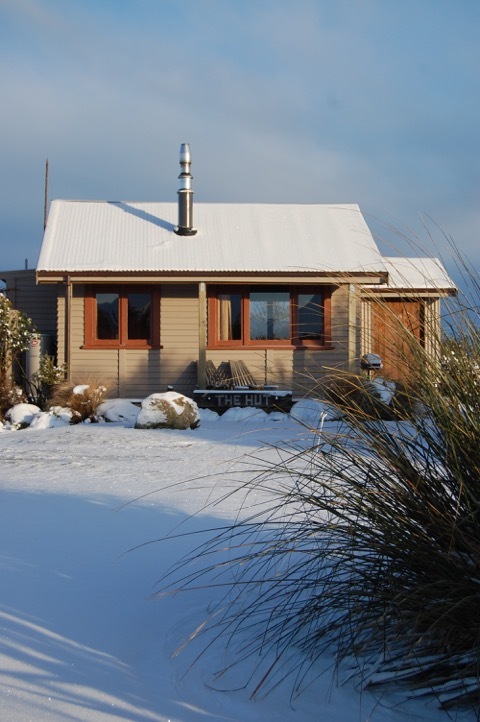 A wood-stove warmly heats The Hut. 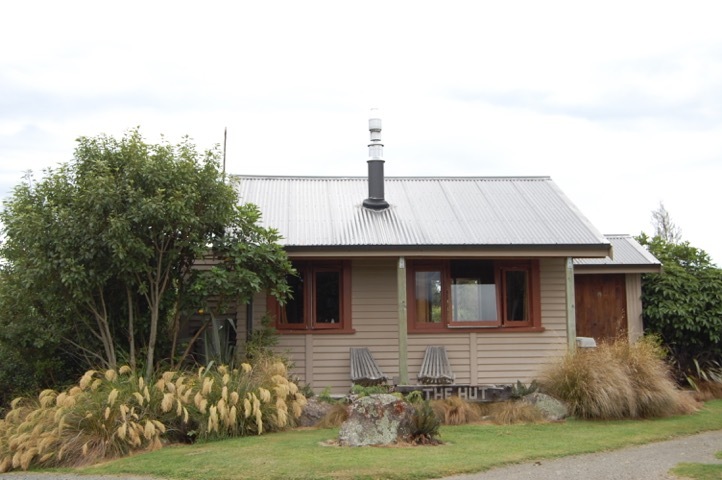 The stove can also be used for cooking, although The Hut also has a full-sized oven, microwave, a fridge and a barbeque on the deck . 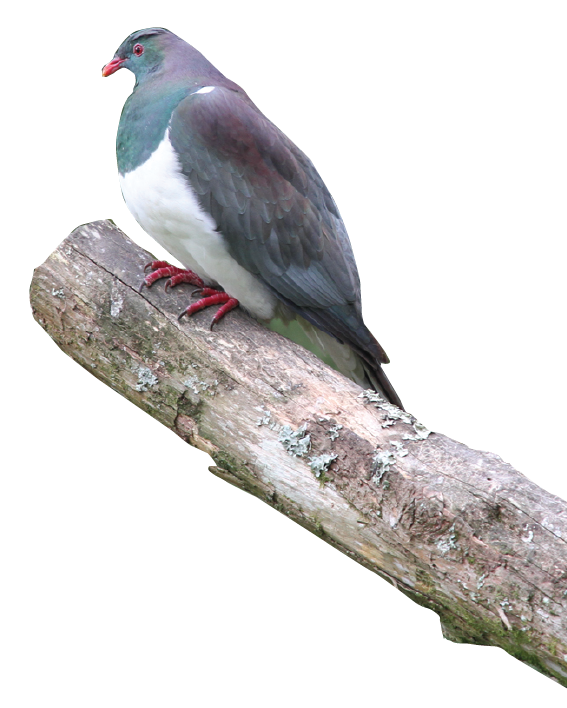 All firewood is supplied. 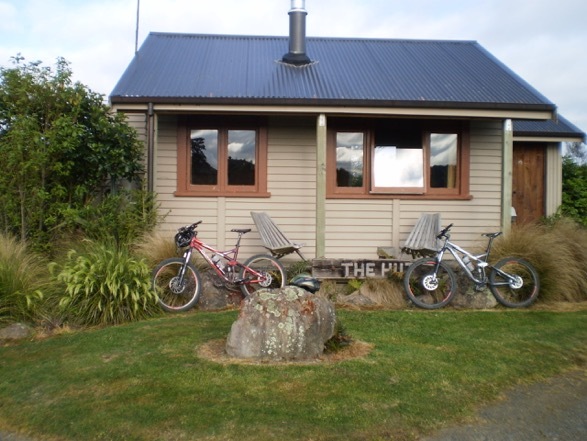 We have two mountain bikes with helmets which are available for your use. 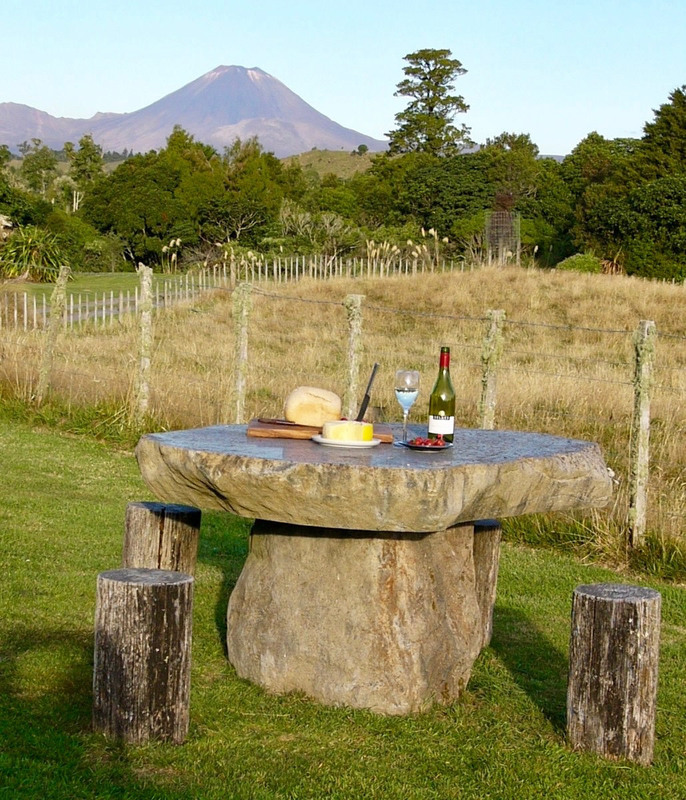 The Hut is appointed to make the most of the spectacular views of the surrounding farmland, bush and volcanoes. 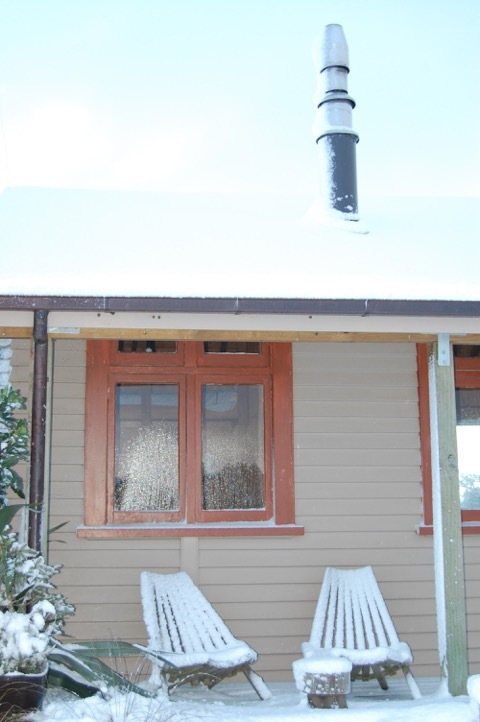 You can relax on the deck, kick back with a drink and a book and ponder if you ever need to return home. 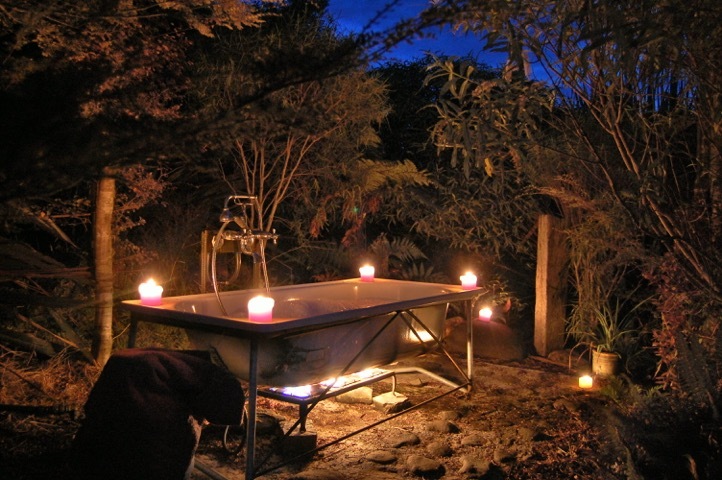 Soak up the view, or soak in the bush bath, watch for the low-flying wood pigeon and then top up that drink … before retiring inside for a warm romantic night in. 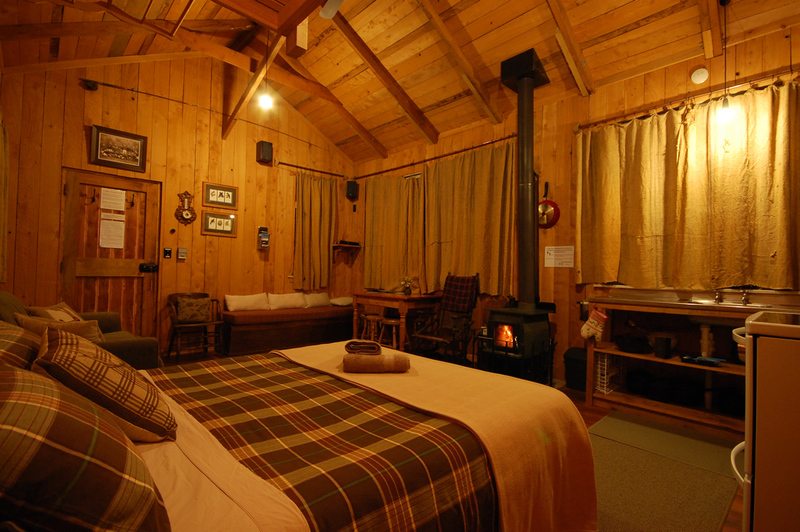 When you book The Hut, we guarantee you will be booking a unique and memorable experience. 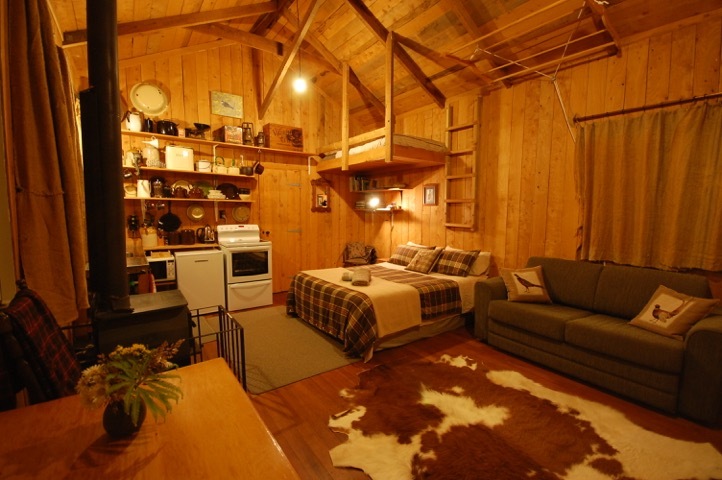 Based on 2 guests $200.00 per night. Up to 4 guests in total.